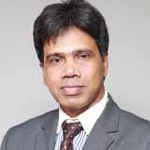 Mr. Karim did his Masters Degree (MSS) in Public Administration from the University of Dhaka in the year 1985. 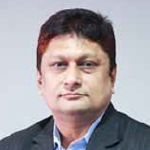 He has started his insurance career with United Insurance co, Ltd. in 1986. He worked there till 2000 and held the responsibility of Re-insurance and Specialized Underwriting as the Department Incharge. In July 2000 he joined Nitol Insurance Co. Ltd. and held responsibility of Underwriting, Reinsurance & Claims Department as in-charge. In 2006, he took the responsibility of "Company Secretary". 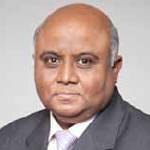 He became the Managing Director & CEO of Nitol Insurance Co. Ltd. on 1st January, 2012. 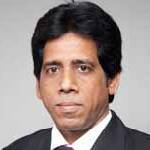 He has long 30 (Thirty) years of practical job experience in leading private non-life insurance companies having wide experience in Underwriting, Reinsurance, Claims, HRD and Secretarial & Corporate Affairs. 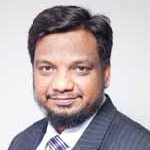 He has been selected by the Bangladesh Insurance Association (BIA) as a resource person to provide lecture at the training program of Insurance Officials of Private Insurance Companies conducted by Bangladesh Insurance Association (BIA). 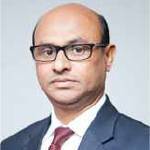 He is also a member of the Reinsurance sub Committee of the Bangladesh Insurance Association (BIA) and Bangladesh Insurance Forum. (BIF). Mr. A K M Monirul Hoque started his business career in 1982 when he established a partnership vocational training center, Swift Engineering and Technological Training Center (SETTC), to develop the skills of people in diverse fields such as driving, computer proficiency, tailoring along with shorthand, and so on. 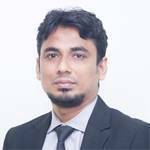 He founded this institution when he was just 20 years old, while pursuing a Bachelor of Commerce (B.COM) Degree under Dhaka University. 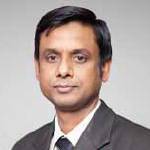 Mr. Hoque, additionally, has a Masters in Commerce Degree (M.COM) under Dhaka University with a concentration in Management. 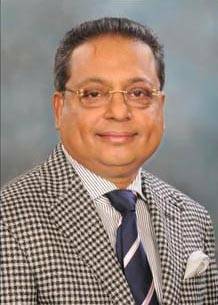 In 1984, Mr. Hoque joined Nitol Motors Limited (NML)-the sole distributor of the distinguished Indian company called TATA Motors LTD (TML); he was the Executive Director there. He was the Head of the Marketing of the NML vehicles and directly involved in the sales and promotion of products for 21 years i.e. till December 2005. 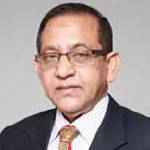 Mr. Hoque is also the Founder Chairman of Nitol Insurance Company Limited (NICL), a Non-life Public Limited Insurance Company, established in 1999. Mrs. Naeema Hoque, wife of Mr. Hoque, completed her BA (Honors) and Masters of Arts (MA) in Philosophy from Dhaka University. Mrs. Hoque is the Life member of Baridhara Cosmopolitan Club Limited (BCCL) & Baridhara Society (BS) and involved in many social and charitable organizations. The couple is blessed with two daughters. The elder daughter Ms. Salwa Tabassum Hoque completed her undergraduate degree with a double major in Communication and English Literature (distinction) from the University of Washington(UW) in Seattle, USA, and, She also completed her Masters at the Ivy League Columbia University(CU)in New York, USA. Younger daughter Ms. Wasfia Tabassum Hoque, institutionally proficient in both French and the piano, is now studying her undergraduate in University of Washington (UW), Seattle, USA. Mr. Hoque loves exploring new countries and has travelled all over the world. He enjoys immersing in diverse cultures, which enable him to understand, appreciate and interact with people of various traditions with different ethnicity and background. His notion is that exploring and learning about other culture broadens perspective and encourages embracing people of diversity and difference. Apart from that, Mr. Hoque enjoys playing Golf and Snooker regularly. He loves to watch various sports such as Football, Tennis, Formula1 and so on; Cricket is his favorite sport. Mr. Md. 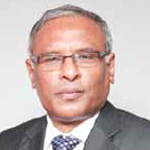 Anowar Husain, a Fellow of Cost and Management Accountants form London, FCMA (LONDON), FCMA (Dhaka) had been in the UK about 25 years and after returned from the UK, joined as a Sponsor Director of Nita Co. Ltd. in 1991 a Joint Venture with TATA Motors Ltd.India, and also Sponsor Director of Nitol Insurance Co. Ltd. (a Publicly Traded Company). He has nearly 57 years working experience in home and abroad in various type of Organizations and Establishments in the UK & Middle East. Participated in many International Business Meetings, Seminars & Fairs in home & abroad, active number of the high level policy making body in respect of investments, and developments and looking after the whole assets of the NITA Co. Ltd as Finance Director. Traveled most of the European countries, USA, Middle East and some Southeast Asian countries. Active member of some non-political, social, cultural and religious organizations, Wife Nazme Ara Husain M.A (Dhaka University) is the Director of Nita Co. Ltd. and also Treasurer of Bangladesh Women Chamber of Commerce & Industries. Blessed with two Daughters Natasha Husain Radiologist (USA) & Bipasha Husain, MBA (USA) both are married now are living in USA. Mr. Zobair Humayun Khandaker was born in September 21st 1970. His father late Humayun Kabir Khandaker was a successful Industrialist & past Sponser Shareholder/Director and the Chairman of the Company. Mr. Zobair did his BBA from University of California, Los Angles & MBA From Indiana University, USA. 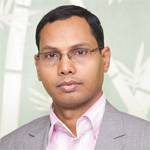 He is now engaged with various National & Multinational Organization as well as he is a Proprietor of Bangla Pipe & Sanitary Industries, Vice-President of Wave Tektronic LIc. 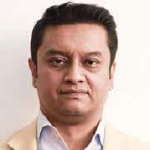 (USA), CEO of Trilink Exports (USA) and Chairman of E-Cash Ltd. & Decorous Event and Amusement Ltd.
Mr. Mahmudul Hoque Shamim is a renouned businessman. He is a Sponsor Shareholder Director of the Company. He has completed M.Com & C.A. (Course completed) and also Fellow of Institute of Management Consultant Bangladesh (IMCB). 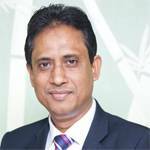 He is associated with FAS Finance & Invesment Ltd. as Sponsor Shareholder and Director of Alight Real Estate Ltd. & L-Tech Bd. Ltd. He is a member of Army Golf Club. 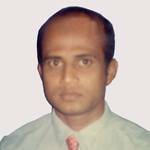 The spouse of Mr. Mahmudul Hoque Shamim is Mrs. Amena Hossain Lucky (B.Sc., Hons., M.Sc.). They have two childrens are Mr. Ahnaf Shahriar Hoque (Son) & Arisha Hoque (Daughter). Ms. Naeema Hoque, wife of Mr. A K M Monirul Hoque, completed her BA (Honors) and Masters of Arts (MA) in Philosophy from Dhaka University. Ms. Hoque doing boutique business since 1992. 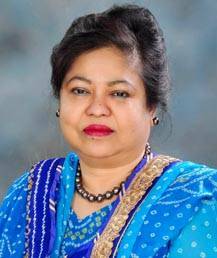 Moreover, Ms. Hoque was the Executive Member (EC) of Bangladesh Handicraft Association (Banglacraft) from 1998 2000. She was the key and significant member in organizing the first Banglacraft All Members Showcase, which was inaugurated by the Prime Minister, at the time, Sheikh Hasina. She was the EC member and Treasurer of Banglacraft for 2013-2015. Mrs. Hoque is, furthermore, the life member of Baridhara Cosmopolitan Club Limited (BCCL), Life member of Baridhara Society and involved in many social and charitable organizations. Chandra Shekhar Das was born in Jhalakati in 1975. 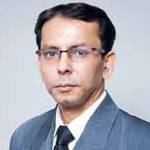 After completion of Master Degree; he became Chartered Accountant from the Institute of Chartered Accountants of Bangladesh (ICAB) in 2009 and working with Pragati Life Insurance Limited as DMD (F&A). He wrote various articles on economics, insurance etc in national daily. He participated in many seminars, workshops, training program in home and abroad. Mr. Md. 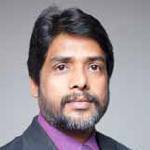 Siddiqur Rahman is one of the Directors of Nitol Insurance Company Limited. He is also one of the Shareholder Directors of FAS Finance and Investment Limited, FAS Capital Management Limited and one of the members of the Executive Committee of FAS Finance and Investment Limited. 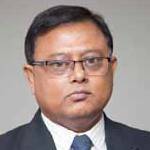 Simultaneously, he is the Chairman of Simtex Bangladesh Limited (Export Oriented Industry) and the Managing Director of Simtex Industries Limited (Bangladeshi Largest Sewing Thread Manufacturer) and Simtex Textiles Limited. Mr. Rahman has a brilliant academic career and secured many scholarships in public level examinations. 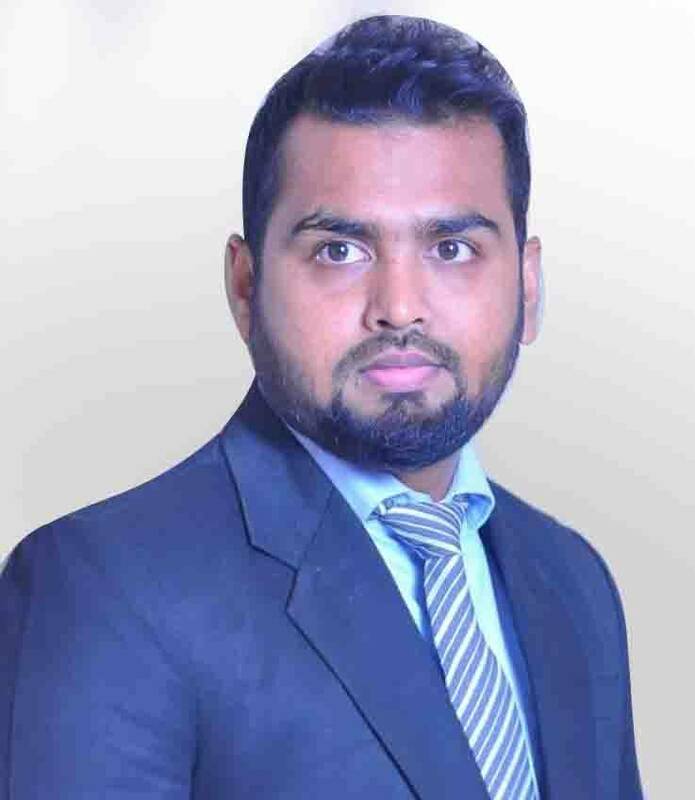 Mr. Rahman completed his Masters in Business Administration and Advance course in Business Administration (ACBA) from the The Institute of Business Administration (IBA) under the University of Dhaka. 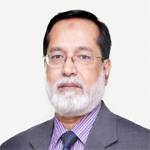 He is also an FCS i.e, a Fellow member of The Institute of Chartered Secretaries of Bangladesh (ICSB). 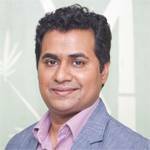 Besides, Mr. Rahman holds a Post- Graduation Diploma in Financial Management from BMDC and has wide experience in private and public limited companies as well as non-Banking Financial Institutions before he started his business career in the year 2001. 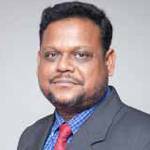 Mr. Rahman is a dynamic businessman with more than 14 years of business experience. 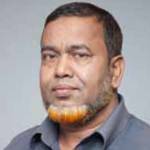 After a long and wide range job experience, Mr. Rahman established his business venture Simtex Bangladesh Limited in a very small scale in the year 2001. Since then by the dint of his dynamic leadership and excellent entrepreneurship, he expanded his business ventures both vertically and horizontally. He is a donor Member of Uttara Club Limited and All Community Club Limited. 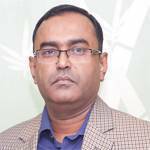 He is also a life member of Gulshan Health Club, Dhanmondi Club Limited and Army Golf Club. He visited many countries of the world for study and business purpose including UK, USA, Canada, Germany, Australia, Belgium, France, Italy, China, Malaysia, Thailand, UAE and many more. Mr. Rahman is happily married and is blessed with three sons. Md. 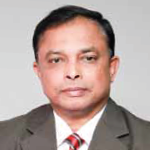 Mamunur Rashid FCMA, a Fellow Member of the Institute of Cost & Management Accountants of Bangladesh (ICMAB) obtained his undergraduate degree in Bachelors of Commerce in the year 1987 and his post graduation degree in Masters of Commerce (Management) in the year 1989, securing First Class 2nd Position and First Class 4th Position respectively both under the University of Dhaka. He is serving as Deputy Managing Director at Index Group of Companies. 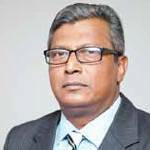 His career lifted when he started as an officer of Bangladesh Steel & Engineering Corporate (BSEC). 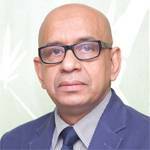 After that he accumulated a wealth of experience via serving in the following designations and esteemed organizations: He served as Chief Financial at Kazi Farms Group, Director of Finance at Sheba Phone, Financial Controller & Company Secretary at Summit Power Limited, Chief Accountant at BRAC-Aarong, and Finance Manager at Desh Group of Companies. 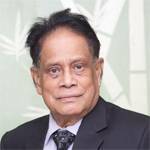 He also served in Government organizations namely, Bangladesh Power Development Board (BPDB) and Bangladesh Parjatan Corporation (BPC). 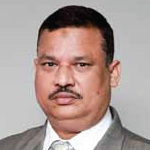 Mr. Mamun has been serving as the Independent Director of West Zone Power Distribution Company Ltd (WZPDCL)-an Enterprise of Bangladesh Power Development Board. 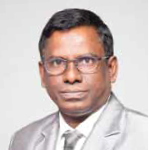 He has been serving as the Council member of ICMAB. 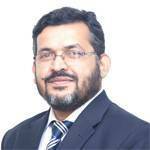 He also served as the Executive Secretary of South Asian Federation of Accountants (SAFA) for the year 2013. Dr. Md. 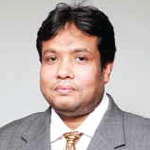 Akram Hossain, Associate Professor of Management Information Systems Department of Dhaka University, obtained his undergraduate degree in Bachelors of Business Administration (BBA) in the year 2000 and his post graduation degree in Masters of Business Administration (MBA) in the year 2001, securing CGPA 3.75 (2nd Position) and CGPA 3.70 (2nd Position) respectively both under the University of Dhaka. 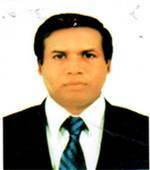 Dr. Akram Completed Doctor of Philosophy (Ph.D) degree in the year 2013 under commonwealth split site study. 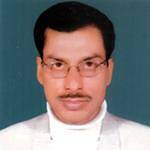 He is serving as Assistant Proctor and member of Central Admission Committee of the University of Dhaka. 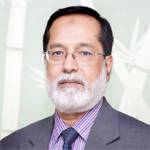 Dr. Akram is an International researcher and he has 23 national & international articles which are published in popular journals. 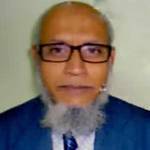 As an academician he attended and presented his research paper in various countries like USA, UK, Canada, Australia, Singapore, Turkey, Thailand and Malaysia in different international academic & research based conferences. He also got best paper award in Australia and Malaysia. 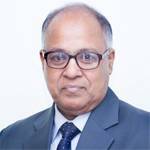 He served as faculty member of: East West University (EWU), Brac University, ASA University Bangladesh (ASAUB), State University of Bangladesh (SUB) etc. 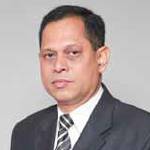 Dr. Akram also working as visiting faculty member of Brac University and East West University in Bangladesh.